Tax Tip of the Week | March 28, 2018 | No. 453 | How Are Social Security Benefits Taxed? A portion of the net benefits you receive each year from Social Security (or equivalent railroad retirement) benefits may be taxable income. If you receive either of these you will receive a Form SSA-1099, Social Security Benefit Statement, or Form RRB-1099. How much of these benefits might be taxed will be explained below. 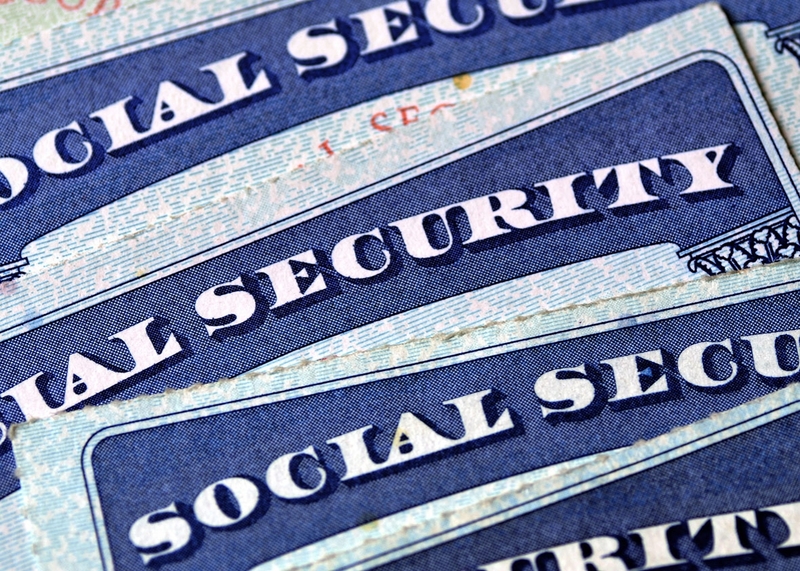 Your social security benefits are subject to federal income tax on a portion of your social security benefits only if the sum of the your modified adjusted gross income (MAGI) plus 50 percent of the social security benefits you received exceeds the applicable base amount – (1) $32,000 if you are married filing jointly, (2) $0 if you are married filing separately and lived with your spouse, or (3) $25,000 in any other instance. If you are married and file a joint return, you and your spouse must combine your incomes and benefits to decide if any of your combined benefits are taxable. If you have concluded that your social security benefits are taxable, then the amount you must include in your taxable income is generally equal to the lesser of (1) 50 percent of the social security benefits you received, or (2) 50 percent of the amount by which the sum of your MAGI and 50 percent of the social security benefits received exceeds your base amount, not to exceed 85% of your benefits. Rules may differ for lump-sum distributions of social security benefits; if you have returned your social security benefits and your repayments exceed the gross benefits you receive; or if you receive social security benefits, have taxable compensation, contribute to a traditional IRA, and are covered (or your spouse is covered) by an employer retirement plan. The social security benefits are includible in the gross income of the person having the legal right to receive these benefits. Ohio along with 36 other states and the District of Columbia do not tax social security benefits which often are a major source of income for many retirees. Note: Your employer makes a contribution on your behalf to the Social Security Administration. You also make a contribution for yourself albeit nondeductible. Contributions for the employer and the employee are the same. This creates a scenario of where double taxation may occur since the employee contributions are post-tax but the resulting benefits may be taxable. Thank you for all of your questions, comments and suggestions for future topics. As always, they are very much appreciated. We may be reached in Dayton at 937-436-3133 and in Xenia at 937-372-3504. Or visit our website. Too often I am guilty of just reading the “headlines” and believing I have the whole story. If it were only that easy! If I had only read the “headlines” on this new tax law I would have been significantly mislead. MISCONCEPTION #1 – EVERYONE SAVES TAX DOLLARS UNDER THE NEW TAX LAW. Not so. For a multitude of reasons, including the loss of personal exemptions and the ceiling on state and local income taxes, the new tax law will cost some taxpayers extra tax dollars. Some a significant amount! MISCONCEPTION #2 – ALL BUSINESSES SHOULD BE A “C” CORPORATION. We are led to believe that the new flat 21% tax rate for “C” Corporations is a silver bullet and will cause a mass exodus from S Corporations, LLCs, partnerships and sole proprietorships. That is not going to happen. Sure, the 21% “C” Corporation rate is well less than the 37% top bracket on individuals, but SO many other even more important considerations exist. MISCONCEPTION #3 – No need for IRC Section 179 deductions any longer since both new AND used property now qualify for the IRC Section 168 (bonus depreciation) deduction. Section 179 and Section 168 are not treated the same in many states. In many states, the Section 179 is a faster write-off than Section 168; therefore of a greater value. Also, please note that Section 179 has never been allowed to create a net operating loss (NOL). Section 168 may do so. However, under the new tax law – NOLs may not be carried back, only forward. So don’t fall into the trap of believing you may “catch-up” on your equipment purchases, create a large NOL with Section 168 depreciation expense, and carry that loss back for a tax refund. MISCONCEPTION #4 – THE PENALTY FOR NOT HAVING HEALTH INSURANCE HAS BEEN ELIMINATED FOR 2018. It is true the health insurance penalty is gone, BUT not until 2019. MISCONCEPTION #5 – ALL PASS-THROUGH ENTITIES AUTOMATICALLY RECEIVE A 20% DEDUCTION. Many S Corporations, partnership, and LLCs will receive the 20% deduction. Some will not. The 20% deduction is not necessarily an all or nothing proposition. If a business qualifies (and not all do) the actual deduction, if any, is all formula driven. MISCONCEPTION # 6 – BIG TAX INCREASES WILL RESULT FROM THE ELIMINATION OF MISCELLANEOUS EXPENSES AS ITEMIZED DEDUCTIONS. Very few people received any benefit from miscellaneous itemized deductions, anyway. You may have observed them as a part of your itemized deductions on Form A. However, they are often blocked from being deducted since they must exceed 2% of adjusted gross income. Definition – a reverse home mortgage is a loan. Although, not a conventional one. 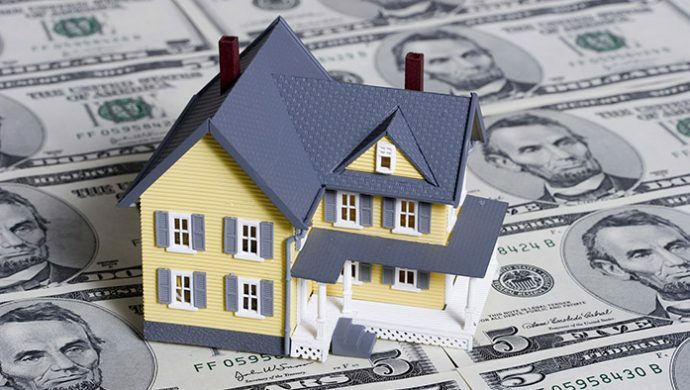 In the case of a reverse home mortgage, the lender pays you while you still live in your home and hold title. In general, your reverse mortgage becomes due along with the interest when you move, sell your home, reach the end of a pre-determined loan period, or pass away. Since reverse mortgages constitute a loan advance, they are not considered taxable income. Most individuals use the cash basis method of accounting, so any loan interest accrued is not deductible until paid. Often, this is when the reverse home mortgage loan is paid in full.This interest deduction may be limited because a reverse mortgage loan is generally subject to the limit on home equity debt. Prior law: Home equity debt is any debt (other than acquisition debt) secured by a home mortgage. The amount of deductible interest may only be on the debt that does not exceed your home’s fair market value, decreased by any acquisition debt. In addition, if you are not using your reverse mortgage loan proceeds to improve your home, the amount that you can treat as home equity debt may not exceed $100,000 or $50,000, if married filing separately. Any equity interest as the result of the loan being over these limits is typically treated as personal interest which is nondeductible. Some notable exceptions include interest from loan proceeds used for investment and/or business purposes. New law: Whether your home equity loan is considered acquisition indebtedness or home equity indebtedness may determine if this interest will continue to be deductible in 2018 and forward. However, further IRS guidance is necessary as to how the new tax law will be applied in the real world. Some tax professionals feel that all home equity interest will be disallowed while others take the position that home equity interest from acquisition indebtedness will continue to be eligible for a tax deduction in 2018. Stay tuned for further developments. Thank you for all of your questions, comments and suggestions for future topics. As always, they are much appreciated. We may be reached in Dayton at 937-436-3133 and in Xenia at 937-372-3504. Or visit our website. Short of selling an asset or a property at a break even, you will have a gain or a loss. This gain or loss is calculated by subtracting your tax basis in the asset from the sales price. Often, determining the amount of the sales price is not that difficult. On the other hand, calculating your tax basis may be quite complex. Your tax basis has a direct impact on your gain or loss. Therefore, arriving at an accurate amount for your tax basis is crucial. (1) The fair market value of the property as of the date of the deceased individual’s death. (2) The fair market value of the property on the alternate valuation date if the estate chooses to use the alternate valuation method. 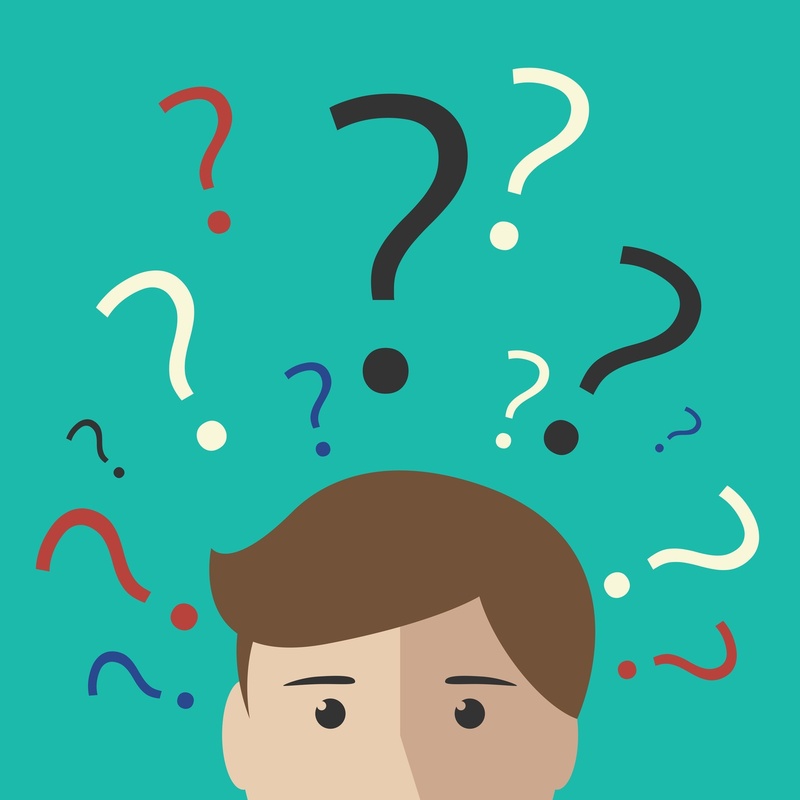 Several factors play in making what may be a big decision. (3) The value under the special-use valuation method for real property used in farming or a closely held business. Election of this method may have far reaching implications. (4) If a federal estate tax return need not be filed, the property’s appraised value at the date of death for state inheritance purposes. Note: If you received appreciated property from the deceased individual and you or your spouse originally gave the property to that individual within one year before the individual’s death, your basis in this property is the same as the deceased individual’s adjusted basis in the property immediately before his or her death, rather than its fair market value. Generally, if you and the deceased owned the property as joint tenants with right of survivorship, your basis in the property is determined based on (1) the proportionate amount you contributed to the original purchase price, and (2) for depreciable property, the way you were allocated income from the property. If spouses held an interest in property as either (1) tenants by the entirety, or (2) joint tenants with right of survivorship where the spouses were the only joint tenants, then the surviving spouse’s basis in the property is the cost of the survivor’s half of the property with certain adjustments. The cost must be reduced by any deductions allowed to the surviving spouse for depreciation and depletion. The reduced cost must then be increased by the survivor’s basis in the half inherited. If you inherited the property from an individual who died in 2010, your basis in the property depends on whether the executor of the deceased individual’s estate made a so-called Section 1022 election. If the executor did not make a Code Sec. 1022 election, your basis in the inherited property is determined under the rules described above. If the executor did make a Section 1022 election, the basis of property you acquired from the deceased individual generally is determined under modified carryover basis rules and not under the rules described above. Generally, the recipient’s basis is the lesser of the decedent’s adjusted basis or the fair market value at the date of the decedent’s death, increased by any allocation of “Basis Increase” (with certain additional adjustments). Finally, the basis of certain property acquired from a decedent may not exceed the value of that property as finally determined for federal estate tax purposes, or if not finally determined, the value of that property as reported on Form 8971, Information Regarding Beneficiaries Acquiring Property From a Decedent. As you can see from above, there are many considerations in computing the basis of inherited property. Too often, the critical pieces of this puzzle are no longer available or require a visit to the courthouse at best to review old property and estate records. It is wise to never discard the estate paperwork of anyone from which you have inherited assets or expect to inherit assets. These may be very important to you many, many years down the road. Thank you for all of your questions, comments and suggestions for future topics. They are all much appreciated. We may be reached in Dayton at 937-436-3133 and in Xenia at 937-372-3504. Or visit our website.